Once all catalogers joined all co-ops, catalogers stopped competing against each other. Instead, catalogers became a loose federation of brands, all working together. So when co-op performance falls off of a cliff (as we've seen in the past year), it isn't because the co-ops are performing poorly. It is because catalogers are performing poorly. Nobody wants to say this publicly, of course, but we all know this to be true. The good thing is that we can fix this problem! When you analyze what I call a "catalog holding company" ... a company that owns 2+ catalog brands, you learn something fascinating. When one brand experiences a merchandising breakthrough, all other brands benefit from the gains enjoyed by one brand. A 10% gain within one brand yields a 1%+ gain across other brands. If this is the case within a catalog holding company, imagine what happens across thousands of catalog brands within the co-ops? Why does this happen? You all know about RFM concepts from the 1980s/1990s, right? If a customer is more recent, the customer spends more. If the customer buys more often, the customer spends more. If the customer spends more in the past, the customer spends more in the future. Well, these ideas translate across the Catalog Brand Ecosystem. If a customer is recent with one brand, it helps response with your brand. The solution to catalog struggles in Spring 2016 lies within each and every one of you. 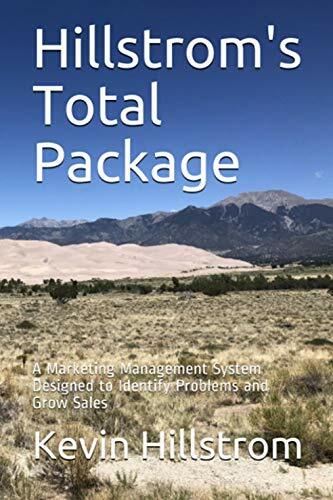 When one of you increases merchandise productivity by 10%, then companies aligned with you have a bigger pool of recent buyers to select from, and their business grows as a result, because the names they take are of better-than-average quality. When one of you finds a way to improve customer acquisition by 10%, then companies aligned with you have a bigger pool of recent buyers to select from, and their business grows as a result because the names they take are of better-than-average quality. It is time to stop blaming the co-ops for weak performance. The co-ops are simply a reflection of your merchandising strength. The reason the co-ops are dying is because your merchandise is slowly dying. This means that the solution to catalog struggles in Spring 2016 lie within each and every one of you, within the merchandise you sell. Yes - you!! You can fix this!